Massachusetts General Hospital, or Mass General, is one of the oldest hospitals in the United States and certainly the oldest in New England. Mass General is known for its specialties in cancer research, digestive disorders, heart disease, transplantation, and vascular medicine research. This broad spectrum of expertise makes Mass General a unique place for medical research and patient care, including pediatric care for any young patient through the Mass General for Children Center. Mass General Hospital has an extensive research program that is granted $550 million a year from the government in order to be on the cutting edge of science, technology, and medicine, and is the founding teaching institution for the Harvard Medical School. It is also considered a Magnet hospital by the American Nurses Credentialing Center, one of the highest awards for nursing excellence given. 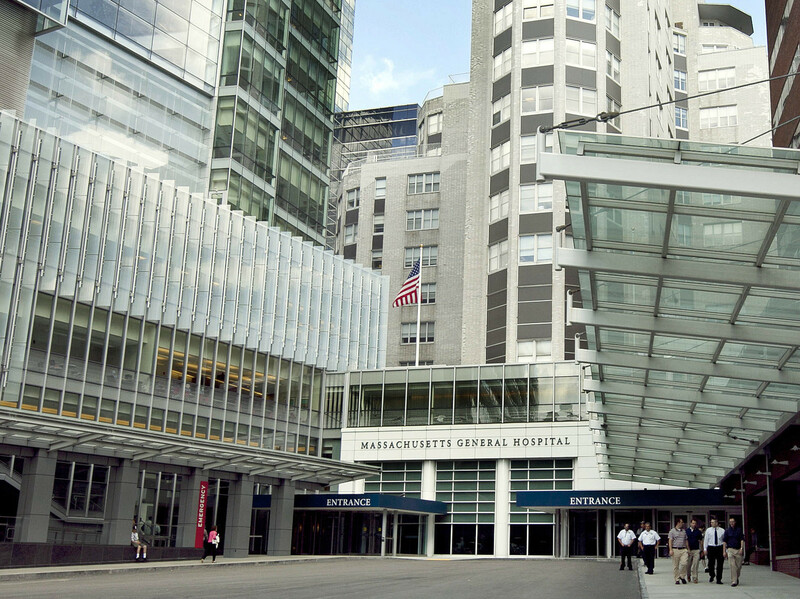 Founded in 1811, Mass General Hospital has always been dedicated to patient care and medical research. Today, the hospital hosts about 900 beds and, between its Main Campus and four external branches, sees 1.5 million visitors a year. In 1994 Mass General collaborated with Brigham and Women’s Hospital to create Partner’s Healthcare System, Inc, which is focused on providing cost-conscious and top-notch medical care to the extended Boston community. The program treats patients in any areas, from primary care to rehabilitation and places emphasis on medical research. Mass General has always been innovative in the medical field. In 1846 it was the first place at which painless surgery was performed through the use of ether as an anesthetic. Mass General Hospital was also the first hospital in the United States to take an X-ray, which it did only a month after the technique had been invented. Then, in 1962, Mass General hosted the first reattachment of a severed limb. Researchers at Mass General were also the first to discover the genes for Huntington’s disease, Lou Gehrig’s disease, and neurofibromatosis type 2. In the ‘90s researchers from Massachusetts General Hospital developed a treatment for AIDS that led to a drastic symptomatic improvement in those infected with the disease. Today, researchers, surgeons, physicians, and other medical personnel are constantly working on new innovations and treatments in the medical field. Mass General has been recognized by several esteemed organizations for its excellence in medicine and research such as the U.S. News & World Report’s Honor Role for Best Hospitals, the American Stroke Association’s Get With the Guidelines Gold Performance Achievement Award, and the Leap Frog Group’s “Top Hospital” Award, just to name a few. Mass General is located near the Charles/MGH stop on the MBTA red line. The MBTA also offers a special service call THE RIDE for anyone who is unable to use public transportation. You can become eligible for this service through an application process.